I am writing to tell you about my exciting new project and to beg you for money for it! (That was a little too straight forward, but … oh well). I and a group of my talented friends/fellow classmates are collaborating to create 5 super short films I like to call The Perceptions Project. “What does it all mean?” you maybe asking. Well let me tells ya! I find it fascinating when people talk about words or ideas as if their meaning is universal. For example, “Freedom”. Freedom is a word/concept that’s often plagued with idealisms and xenophobic rhetoric when actuality, it may look vastly different for any two people from the exact same background and upbringing much less people from different countries. Playwriting is and will likely always be my endless love. However, my time at NYU Tisch School of the Arts (I’m a 2nd year MFA candidate in the Dramatic Writing Department for those who don’t know me) has exposed me to different forms that I am eager to kick the wheels on and become more fluent in. This year I was fortunate enough to have my short screenplay Cami Gets Voca chosen to be produced by Stonestreet Studios in NYC. It was thrilling, but did not have the hands on experience of filmmaking I’ve been craving. So, I decided to write some shorts and collaborate with my talented cohort of filmmaker friends (some of whom you’ll meet below). We’re eager to jump in but if you didn’t know filmmaking can be pretty darn pricey. Because you can help by donating your hard earned monies in large or small denominations to our valiant filmmaking efforts! $5 – Gee Thanks! – Your name will appear in the “Special Thanks” in the end credits of each film! Sweet right? But what does “sweet” mean to you :/? $10 – Gee Thanks! Have a Card! – Your name will appear in the “Special Thanks” at the end credits of each film AND you get to read my super sloppy handwriting on a real thank you card that will be sent to your actual home! $25 – Gee Thanks! Read This! – Your name will appear in the “Special Thanks” portion of the end credits, you’ll get a super poorly scribed thank you note, AND you’ll get the script to the short of your choosing signed by our rowdy group of guerrilla filmmakers! $50 – Gee Thanks! Read These! – Your name will appear in the “Special Thanks” portion of the end credits, you’ll get a super poorly scribed thank you note, AND you’ll get all 5 scripts signed our rowdy group of guerrilla filmmakers! $100 – Gee Thanks! Watch This! -Your name will appear in the “Special Thanks” portion of the end credits, you’ll get a super poorly scribed thank you note, all 5 scripts signed by our rowdy group of guerrilla filmmakers AND, you’ll get a DVD with all five shorts! $250 – Gee Thanks! Produce This! – Your name will appear in the “Special Thanks” portion of the end credits, you’ll get that raggedy damnable thank you note, all 5 scripts signed by ze fancy auteurs, you’ll get a DVD with all five shorts to toss in the fire as you see fit AND you’ll get your FIRST EXECUTIVE PRODUCER CREDIT! (I mean if you already aren’t an executive produce that is) That’s right, when me and my team are all Atlanta famous you’ll be able to say with pride I knew them before they were Gone with the Wind Fabulous! Act now while supplies last! Donate as you will. Our goal is $5,000 but of course we’ll welcome more. I will keep you posted on totals daily on twitter/facebook. Wish us the best and we’ll see you at the movies! Stacey Rose (Screenwriter/Director/Producer) – Stacey Rose a.k.a. “Rosie.” is a theatre artist and writer and single mom of one hailing from Elizabeth, NJ. She grew her theatre fangs in Charlotte, NC. She is a 2nd Year MFA Candidate at NYUs Tisch School of the Arts Dramatic Writing Program where she currently studies writing for stage, screen and television. Her short play My Pet won The NYU Grey Gallery prize and went on to be produced at the Fade to Black Festival in Houston, TX. She has won multiple awards and grants and was recently awarded a coveted 2014-15 Career Development Grant from AAUW. You can read more of her writing on this very blog or at CLCLT.com. Isiah Donté Lee (Director of Photography)- Donté Lee is an award winning cinematographer specializing in narrative, commercial, music video and documentary work. He is currently finishing his BFA at the University of North Carolina School of the Arts with a concentration in Cinematography. Donté strives to create images that evoke emotion and reinforce the thematic elements of the content they are attached to. He has served as director of photography on over 30 projects, including the Howard University short film JUMP, winner of the best student short film at the 2013 Hollywood Black Film Festival. Donté is well versed in just about every digital camera system as well as 35mm and 16mm film. 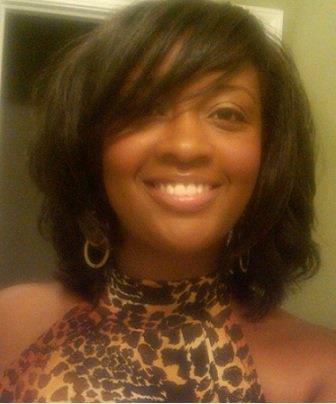 Martina Smothers (Assistant Director/Director) – Martina Smothers has been an artist her whole life. She started out as a painter and attended Maryland Institute College of Art in 2000. It was there where her passion for cinema began. She graduated in 2004 with a BFA in photography and a minor in video. She worked and lived in San Francisco for serveral years before deciding to pursue her dream of becoming a filmmaker. She attended NYU Tisch Asia in 2012 for a short time before leaving. She was accepted into USC Graduate program and plans on attending in Spring 2015. 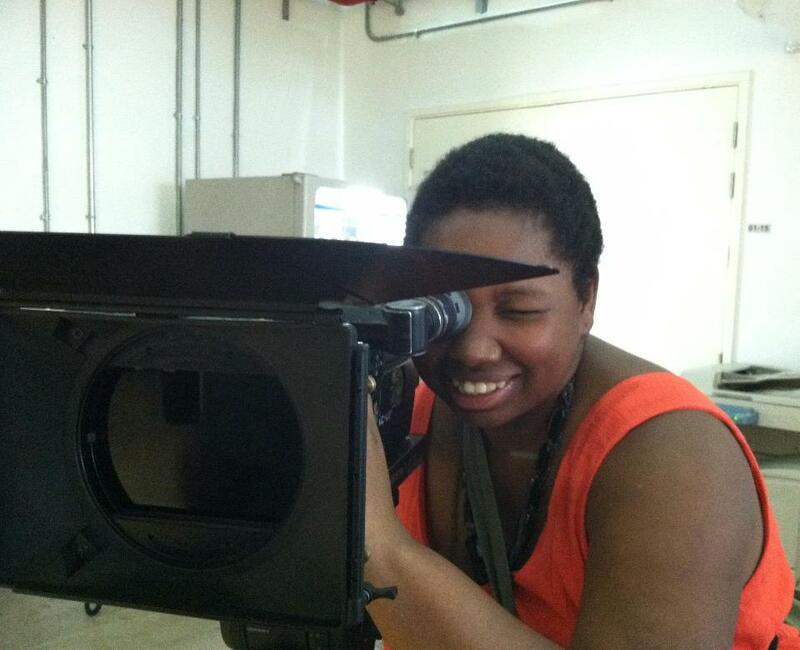 Brittany M. Fennell – (Director/Producer) Brittany was born in Rockville, Maryland. She has always been an empathetic nomad. She has moved around several times, never being around the same set of people for longer than four years. Going to Atlanta for her undergraduate studies, at Spelman College changed her life forever. She learned more about her heritage and culture. Her time living abroad continues to shape her thinking and her passion for story telling. Currently, Brittany is an MFA Film and Television candidate at NYU Tisch School of the Arts with a concentration in writing and directing where she wrote and directed her short film Q.U.E.E.N. along with shorts. Her life experiences continue to inform her work which centers on the complexities of people from all walks of life, cultures, and nationalities. Find out more about her short film Q.U.E.E.N. here! Kendrea Mekkah – (Mistress of Social Media Activity) Mekkah is the poet, multi-media journalist, educator and soul sista behind the Mektext Network. She is currently working on two masters degrees and spends her spare time creating art and touring with her poetry and music. You can download her albums and watch her growing portfolio on the arts and politics website www.InTheseStreets.com. You should know that she likes purple, loves a good cognac and is Ms. Stacey Rose’s indentured servant; thus her involvement The Perceptions Project. Carla Hough (pronounced “Huff”) – (Casting Director) Carla is a native of the Southeast. A passionate film enthusiast, she is a walking encyclopedia of film knowledge with an uncanny ability to recognize actors, from the largest Hollywood names to that guy who was on that episode of Law and Order that time. After leaving the real estate industry (realizing it was not the best way to use her super powers), she left to apply her skills to her passion. 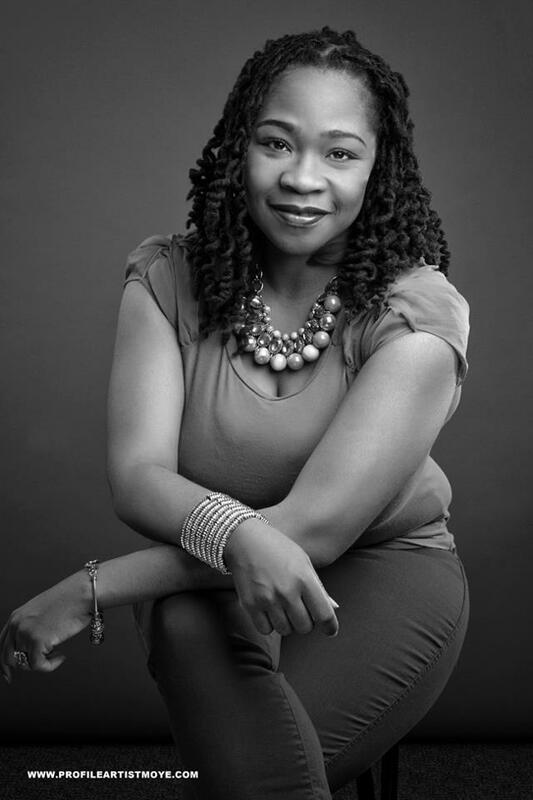 First, she transitioned to a career in PR, working behind the scenes to help small businesses and non-profits grow their brand. More and more, those non-profits seemed to deal with the arts, including theatre, which lead her to get more involved with theatre groups and actors. Before long, her reputation attracted the attention of Tout Talent, who brought her on to become the face of their operations in Charlotte and in-house television/film guru. Due to her discerning taste in talent, Carla has quickly become well-known in the talent industry, building positive relationships throughout the Southeast and beyond. The actors she represents can be seen in feature films, both indie and major studio, along with series and made-for-tv films on CBS, NBC, ABC, the CW, BET, Lifetime, the UP Network and the Sundance Channel. She is excited to lend her experience to The Perceptions Project as Casting Director.